Enter your name & best email address to Download Your Copy right away! 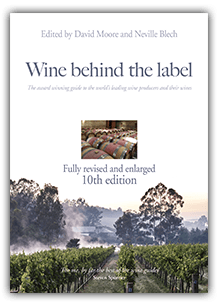 In order for all our readers to get a greater feel for Wine behind the label we are delighted to offer you a free download of the South Africa section from the 11th edition. Just download at the top of the page. We remain committed to providing both depth and criticism about quality wines whatever their provenance and from as many quality wine producers as possible. It is a guide for enthusiasts or would-be enthusiasts, not for those who can’t detect any differences or don’t care to, yet it is a reference that is accessible to the novice and learned alike. 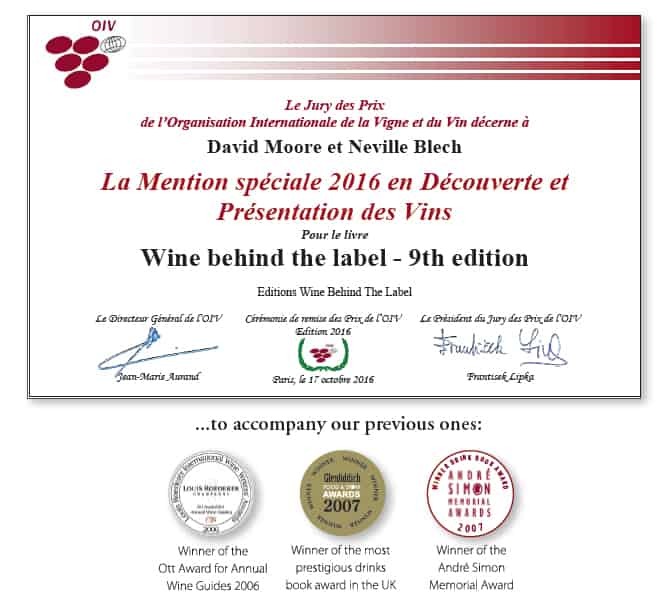 The 9th edition sees a further significant expansion in our reach, uncovering many more producers - both from the classic regions but also reflecting the quality being obtained in places that don’t make the headlines. As ever, it is still far from exhaustive but hopefully there’s plenty to sustain your interest.. For those new to Wine behind the label we have repeated below what you can expect to find as well as some of our thoughts about wine and winemaking. The industrial mentality which has given us brilliant cars and computers doesn’t have a place in high quality wine (or food) production. An essential difference between a high production brand and one produced on a more human scale is the personal effort and commitment that the family or individuals who make it have put into it. We therefore highlight individuality and character over more boring standardized production. We also attempt to bring the producer a little closer to whoever is drinking their wine so that some inkling of their philosophy and effort might enrich the enjoyment the wine brings. We lend our support particularly to small producers and talented winemakers, and wherever we see honesty and integrity but every quality wine is considered on its merits. A small producer, no matter how earnest or sincere, will not make good wine if he or she doesn’t manage the vineyards well and employ sound winemaking practice. Equally, spending exorbitant sums on PR and marketing doesn’t always mean the wine in the bottle is poor – though it is likely given the money spent that it could be better value. We’ve tried to provide information about where quality and character come from - the most relevant aspects of winemaking, viticulture and vineyard site that contribute to what’s in your glass. There is also information on the extent of a wine’s manipulation such as fining or filtration, and whether organic or biodynamic principles are employed. In the last decade we have witnessed the increasing acceptance of the importance of terroir in tandem with a continued trend to more vineyard specific wine production. Where great wine is a combination of several small parcels it is our hope that more producers will provide details of the individual plots that contribute to the wine’s character. In some cases, celebrated labels are now no longer based on the top vineyard sites that brought early acclaim. We are also keeping tabs on some of the most famous names where the pursuit of profit, lacklustre direction or a change of ownership may have compromised quality. On the other hand we point out where a new, often more highly-trained, generation has made a positive impact or where outside investment has resulted in a new lease of life. Our Quality Rating (see How to Use this guide) is intended to give a truer assessment of wine quality than a vintage dependent point score. It is nearly always based on scores from a minimum of two recent vintages. Wine shows and competitions encourage the production of wines of flattering first impressions but don’t always reward those that show at their best with age. Nor do they address the implications of the vintage characteristics. Rather than a snapshot, consensual tasting mentality we believe in tasting wines again and again (both blind and non-blind) in order to gain a better understanding of a wine’s style and when it should be drunk. Where great wine is a combination of several small parcels it is our hope that more producers will provide details of the individual plots that contribute to the wine’s character. In some cases, celebrated labels are now no longer based on the top vineyard sites that brought early acclaim (whether a Bordeaux classed growth or elsewhere in Europe or the new world). Think of this book as a catalogue to a vast array of vinous riches. Choose with the certainty of trying wines of dependable quality that our labours and experience provide through our rating system. If you haven’t tasted Austrian Grüner Veltliner or Californian Syrah then try a three star example from at least two or three profiled producers. Buy the best new reds from the Languedoc-Roussillon, Southern Italy, Spain or Portugal. In the past five years Germany has made better Riesling than ever before but contrast these with those from Alsace, Austria or Australia. Discover a wealth of fine Pinot Noir from Central Otago, Victoria & Tasmania or North America. Alternatively seek out new names from the classic regions such as Burgundy, Bordeaux or the Rhône, Tuscany or Piedmont, Napa or South Australia. Most of all we implore you to taste more widely. An incredibly in-depth and addictively readable survey of wines of quality from around the world with intelligent tasting notes and informative background to the producers, plus stockists and UK prices. With its championing of authenticity of origin, gifted winemakers, smaller producers, organic and biodynamic winemaking, as well as its wealth of detail, this could well become the annual guide by which all others are judged."